We’re happy you’re here! This article is designed to turn you into a WordFly Pro in the shortest time possible. We'll give short explanations and then link off to articles to give you more step-by-step details. Use this as your all-up training guide and let us know if you have any questions. When you create an account with us, you agree to WordFly's Acceptable Use Policy. All our users must comply with anti-spam regulations both in the US and to any countries where your subscribers reside. We've put together an article that lists email marketing best practices and rules to help you meet compliance regulations. Our full feature list can be found here: WordFly Features. Visit our knowledge base section to find helpful articles about everything WordFly has to offer. We've created a helpful tour in WordFly. Login to your account and select the WordFly icon from the footer section to open the site menu. Select Welcome from the menu. Then select Take a Quick Tour. This will give you a high-level overview of all the sections of WordFly and what you can do in each section. Here's a quick reference to some terms you'll see throughout WordFly. Email Campaign: When you send/deploy an email with WordFly, we call it a campaign. A campaign is made up of your email template, a subscriber list and settings. Learn more in the email campaign section of this guide. Subscriber list: Who are you sending to? Email Template: The email template is the designed and personalized email that gets sent to a subscriber in your email campaign. Use WordFly's responsive email designer—Modern Editor—to build beautiful emails for every screen. Starter Emails: You can make any Modern Editor email into a starter email template which puts the email into the starter carousel when you create a new email template. This is a great way to set up reusable templates for your users (or users can just duplicate templates under Email > Email Templates). SMS: When you send to a group of mobile subscribers you are sending an SMS message. SMS is available to some countries and additional setup is required. Learn more in the SMS section of this guide. Pages: You are able to create different types of Pages within WordFly for various purposes. These include RSVPs, Surveys, and Landing pages. Learn more in the Pages section of this guide. Media: Host any images or downloadable files you use in your emails in the Media library. In the Media section, and also from Modern Editor, you can edit images using our Image Editor. Blocks: Create your own custom design Blocks to use in email and page designs built in Modern Editor. Labels: Create and apply labels to your Campaigns, Templates and Subscriber lists for easy filtering and organization. Data Fields: Data fields in WordFly allow you to add First Name, Last Name and other personalization inside your email template. A data field is essentially the field column header in your spreadsheet. Data fields tell WordFly which data you’re importing with your subscriber list. Dynamic Tags: Create if/then conditional statements using Dynamic Tags. Use basic or advanced dynamic tags to personalize your subject lines, email content, and links. In WordFly, go to the Account section. Update your Organization Info. Tell us about yourself. Create New Users. Set up unlimited user accounts and give your colleagues customized access. Create Labels. Use labels in your Campaigns, Templates and Subscriber lists for easy filtering and organization. Set up your Email Settings. Add reusable content for your campaigns. Select your Email Pricing Plan. Select a pricing plan that works best for your organization. Learn more about the Monthly Subscriber pricing plan and active subscribers. Select the Unlimited Inbox Preview Plan or keep the original plan (no action required) that gives your organization 50 free Litmus previews each month for testing your emails across 30+ different email clients. Set up your Account Options. Enable a custom tracking link. Your IT team will need to assist with setup. When enabled all your tracked links in a sent email will use your custom domain. Enable Google Analytics for your emails. When enabled, WordFly will tag all emails with GA tags that will send email analytic data back to your website's GA account. *You can also enable including your Link Names in GA tracking here. Opt into WordFly's benchmark Reporting to compare how your Campaigns are doing against other organizations in your industry. Set up your Social Integrations. Set up your Facebook & Twitter Integrations. Set up your Custom pages. Set up your subscribe and unsubscribe preferences. Set up your Subscribe settings and page and branding. Set up your Unsubscribe settings and page and branding. Set up your Forward to a Friend page and branding. Be sure to click Save and Publish to make your pages live for subscribers. Sending a standard email using WordFly is quick and simple. Just click on Emails > Create a campaign. WordFly will walk you through the steps on screen. A/B testing. A/B test from name, subject line or two different email designs. Personalization. Use Data fields (merge tags) and Dynamic tags (conditional logic) in your subject line and email design. Segment your subscriber list. Send your email to targeted subscribers using segmentation. Suppress a list to exclude subscribers from the deployment. Send one or multiple test emails to stakeholders and test addresses. Use Inbox Preview to see how your email renders across 30+ different email clients. Send Now or schedule the email to send In the future. Share your email campaign on Facebook and Twitter. 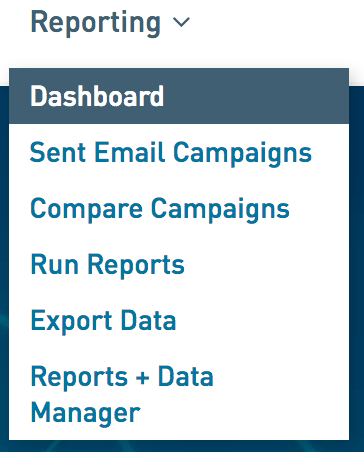 Once your email campaign has sent, go to Reporting > Sent Email Campaigns to view the results. Connect with your subscribers through SMS campaigns by importing mobile numbers. Learn how to send an SMS campaign. Note: Additional configurations and fees apply. Contact us if you want to start using SMS. This feature is currently not available to US customers but it is on the roadmap. You can interact with your audience through RSVP, Surveys, and Landing Pages. Each one of these options serves a different purpose and can widely increase your insights about your audience, engagement, and improve your subscriber's user experience. Pages are built using Modern Editor and will be hosted by WordFly. There's an option to integrate your Pages responses with Tessitura. Surveys can be sent anonymously, or you can associate responses to subscribers. Depending on the pricing plan you choose, you can publish from 5 up to 100 Pages simultaneously. Your subscribers exist in WordFly when you import addresses in lists. The first time an address is imported a Subscriber profile is created for the subscriber. View and export data around how your subscriber list is built over time and day-to-day list health tracking with Subscriber Insights. Subscribers can be imported under Subscribers > Lists or when you are working in an email campaign under the Subscribers tab. A subscriber list is the list of people you are sending your email campaign to. There are a few options for importing your list. Import a list from a CSV file on your desktop. Add subscribers manually by copy/pasting those addresses into an open field. Import a CRM list. (Ex, Tessitura List Manager list or Extraction; or, a Centaman list). Once your list is imported, you’ll be taken to the List Summary which shows the current state of your list, subscriber issues, and the number of people who will receive your campaign. Do you want to use personalization like First Name, Member Level, or other unique data in your email? Personalization is added to your emails by using data fields and dynamic tags. In order to get the data from your list into WordFly data fields you need to map your list fields to WordFly data fields during the import process. It is critical to map your fields during the import process if you are using personalization in your email or SMS campaigns. Unsubscribe and hard bounce filtering is constantly working in WordFly to ensure subscribers with opt-outs or bad addresses are not emailed again. WordFly will automatically suppress unsubscribes and other issues when you import your lists into WordFly. New list imports are the easiest way to ensure you are filtering out subscribers who should not be emailed again. WordFly will also filter out unsubscribes and other issues on existing lists if those lists are reused in new email campaigns. Note: Only lists the subscriber unsubscribed from will reflect the unsubscribe until that subscriber is imported into a new list. Subscribers can tell you their communication preferences when they subscribe or unsubscribe. Preference data fields are added to your subscribe and unsubscribe pages. You can learn more about setting these up in the Account set up section of this guide. Each preference you set up in WordFly is a data field. When a subscriber opts-in or opts-out of a preference that data is stored on their subscriber record as a data field update. An opt-in is logged as a 1 and an opt-out is logged as a 0. Use subscriber preferences to segment your lists so the subscriber receives more targeted content. WordFly Segmentation allows you to segment your list to include specific subscribers. Use data fields and/or events to segment your list. The segment is always inclusive but you can use the operator values to exclude subscribers as well. You can also add a suppression list to your campaign to exclude an entire list from being sent to. WordFly offers configuration of up to two (2) seed lists which allow you to receive any standard or triggered email sent. Assign one seed list for standard campaigns and one for triggered campaigns. Are you using one of WordFly's CRM Integrations? If you are using one of WordFly's CRM Integrations it is important to think of your CRM as the main subscriber management system, rather than WordFly primarily. WordFly makes your campaign data visual and easy to understand with on-screen results, data exports, reports, and interactive charts and graphs. You’ll find three ways to get your data in the Reporting section. View your campaign results. 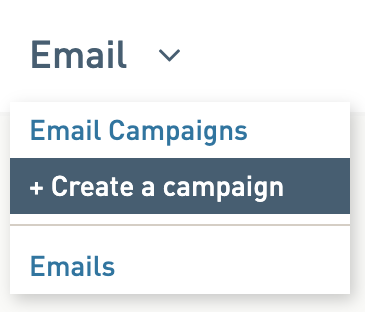 Go to Reporting > Sent Email Campaigns and select your campaign. View an Overview tab of campaign activity summary, plus delivery percentages. Click Details to view a summary of the campaign. Click Preview to view the email itself. Select Heat Maps to review and export click results. Select Locations to view geolocation data. Click the tabs to see Opens, Clicks, Unsubscribes, Bounces, Social Sharing and your top Email Clients. Narrow down your results by date range, domain, or A/B version. Run a campaign report. Impress the boss with a PDF of the results. Go to Reporting > Run Reports to get started. Run a Campaign Report to receive a complete download of all results for a Campaign in a beautiful pdf. After you run the report, you’ll be redirected to Reports + Data Manager to pick up your report. Export the data. Everybody loves spreadsheets, right? Go to Reporting > Export Data to get started. Download your exports and reports under Reporting > Reports + Data Manager. Hover over your data file and select download. We recommend reviewing these articles and following this workflow for importing your Tessitura lists into WordFly, sending email campaigns and then reviewing your email response data in Tessitura. First build your List Manager list or Extraction in Tessitura. Create your Output sets in Tessitura. Output sets provide all the personalization data for the subscribers in your list. The output set provides data like First name, Last name, Salutation, Preferences (interests, attributes, or contact purposes), Performance name and date and anything else in Tessitura. Create your Appeals in Tessitura (appeals are necessary for source number appending on your emails and for sending data back to Tessitura). In WordFly, import a Tessitura List Manager list or Extraction. Enable Source number appending in your account and then use it in your email campaign. Source appending allows subscribers to receive discounts on your website via the source (aka, promo code) that was appended to the link and also (with or without a discount) allows you to see sales data connected to that source in Tessitura reports. Send a Tessitura list email campaign, and see all your email responses go back to Tessitura! Learn more about how email responses populate in Tessitura. Use the Tessitura Preferences Integration to keep subscriber interests, attributes and contact purposes in sync between WordFly and Tessitura. Subscribers can select their preferences on the subscribe and unsubscribe pages. Send Welcome, Performance Reminder, Abandoned Cart and other triggered email campaigns using Tessitura lists. Run a Revenue Report to see all the revenue generated from your Tessitura list email campaign. See your customer's emails in Tessitura using Box Office Insights - the WordFly custom screen. Set up Page responses for Tessitura to receive all of your RSVP and Survey responses directly in your database. We recommend reviewing these articles and following this workflow for importing your Centaman lists into WordFly, sending email campaigns and then reviewing your email response data in Centaman. First, build your lists in Centaman. Import a Centaman list (First build your query list in Centaman). Send a Member expiration, Renewal, and other triggered email campaigns using Centaman lists. Watch the WordFly-Centaman integration 101 webinar for a great overview of the integration. Retina images and much more! Protect your email marketing reputation by upgrading to our Paid IP Plan. If your list size is over 50,000 subscribers and you send more than once a week, a dedicated IP address is highly recommended. Learn more about a Dedicated IP.